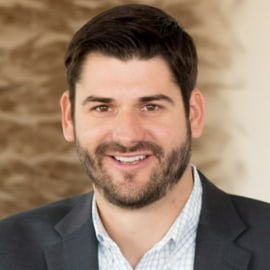 Scott Laband is the president of Colorado Succeeds, a 501(c)(3) non-profit, nonpartisan coalition of business leaders focused on improving the state’s education system. Colorado Succeeds represents business executives from corporations of all sizes and sectors across the state working to ensure all of Colorado’s children are educated to their greatest potential, and all of Colorado’s businesses have the talented and innovative homegrown workforce they need to thrive. Prior to Colorado Succeeds, Scott worked as the Legislative Director for Senator Mike Johnston, where he oversaw the education policy agenda and legislative strategy. Scott began his career as an Associate at HVS International, where he provided asset valuation, economic impact studies, and investment management and development consulting for commercial real estate developers, hotel chains, private investors, institutional lenders, and municipalities. Scott also worked at the Qdoba Restaurant Corporation as a Marketing Manager, where he directed strategic marketing and branding campaigns in corporate markets across the country. He is a founding board member of the Rocky Mountain Preparatory School and serves as its Vice Chairman. Scott graduated from the University of Colorado at Boulder with a degree in Business Administration. Scott earned a Master’s Degree in Education, Leadership, and Organizational Change from the University of Denver.